Here are a couple that slipped past in the changeover between buying hard copies of new music and rocking over to iTunes to grab the digital equivalents. The purpose of these selections from the Feat's extensive tape archive is, as far as I can make out, to provide new items that can be sold through the website and, more particularly, at the merchandise table at live gigs. That sort of thing is a vital component of a touring outfit's bottom line. 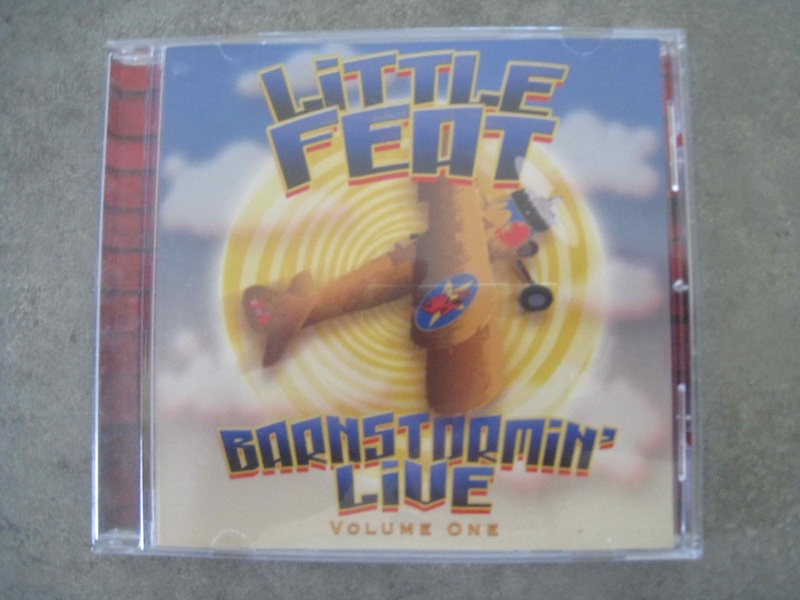 Barnstormin' Live Volume One hit the market and the merch table back in early 2005, and Hughesy was off to the website for a hard copy tout suite. Volume Two sneaked out later that year, by which stage I think I'd run across the problem of storage space so I'd put off buying a hard copy, and the reappearance of Volume Two in a two disk box with its predecessor wasn't going to result in a purchase either. 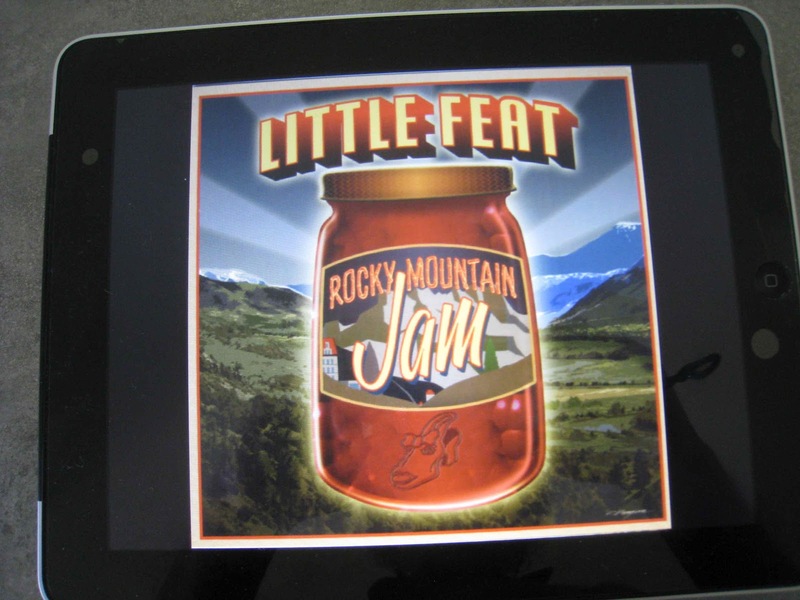 Rocky Mountain Jam appeared in 2007, aimed at much the same target, and by that time, with the purchases almost exclusively in the digital domain it was a case of we'll get around to it someday while financial and other considerations stepped in. A glance at the three track listings doesn't reveal much in the way of fresh material. Apart from a take on Little Walter’s Last Night on Barnstorming One and a segue from Down On the Farm into Candy Man Blues to kick off Volume Two there’s a selection of titles from across the band’s history from Sailin’ Shoes to tracks from the then-most-recent studio effort Kicking It At The Barn without most of the night by night musical suspects. 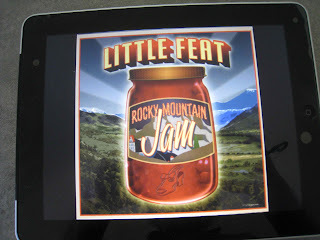 Those turn up on Rocky Mountain Jam, presumably because their absence on the earlier two titles had been noted. 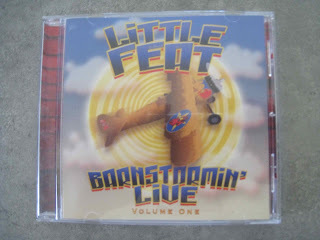 As such, the three titles a fair portrayal of mid-noughties Little Feat in the seven piece configuration. One doesn’t ask too much about these things, but vocalist Shaun Murphy was cut loose in 2009, presumably as a cost-cutting exercise and the death of drummer Richie Hayes leaves keyboard wizard Bill Payne as the only survivor from the original quartet. Guitarist Paul Barrere, percussionist Sam Clayton and the bass playing Kenny Gradney climbed aboard for Sailin’ Shoes and multi-instrumentalist Fred Tackett had been on the fringes of the Feat scene for years before he was officially recruited when the post-Lowell George outfit reconvened to Let It Roll in 1988. As far as the contents go, Barnstormin' Live Volume One has a fairly straightforward reading of Rocket in My Pocket, followed by a tasty trumpet (Fred Tackett) intro to Keepin' Up with the Joneses. Changin' Luck surges along just fine, with Shaun Murphy in characteristically fine voice, Spider's Blues is a spirited run through a relative obscurity and the album’s showpiece comes in the form of One Clear Moment > Just Another Sunday, an extended fifteen minute workout through two of the best post-Lowell era tracks. Your mileage may, of course, vary, but this is how Hughesy likes his twenty-first century Feat (right down to the bit of Representing the Mambo thrown in round off Just Another Sunday). After that little tour de force you need a little light and shade, and Walkin' as Two provides just that. Sam Clayton growls his way through Little Walter’s Last Night and Paul Barrere leads a languid quest to Roll Um Easy. The Blues Don't Tell It All lifts the tempo a tad or three before Why Don't It Look Like the Way That It Talk lands things back in the languid zone to close things out. Overall it’s a tasty sample that visits some of the less frequented quarters of the repertoire. 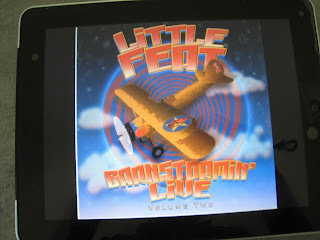 Barnstormin' Live Volume Two is a bit further away from the laid back side of things, opening with a jaunty Down on the Farm > Candy Man Blues before Bill Payne drops things back with a restrained reading of Under the Radar in its original rather than the subsequent reggae influenced incarnation. The restraint continues as Paul Barrere takes the vocal lead on Fool Yourself with a little vocal help from Fred Tackett and Shaun Murphy. It’s a tasteful reading of one of those Feat numbers that tends to be overlooked in favour of the usual suspects (Easy to Slip is another one). There’s a rather nifty guitar, mandolin and understated swirling keyboards intro to Sailin' Shoes, and though Paul Barrere and Shaun Murphy go verse for verse through the song the version’s close in feel to the original second album version. After a couple of slower numbers, a tempo change is probably needed, and it comes with a rollicking Night on the Town, before things drop back a notch for an old favourite in Apolitical Blues, with a bit of Muddy Waters’ Long Distance Call inserted midstream. Shaun Murphy gets a spot of limelight for A Distant Thunder, and there’s a jaunty reading of Down on the Farm’s Six Feet of Snow. Bill Payne heads off Fighting the Mosquito Wars, and things are wound up neatly with A Day at the Dog Races, which Mr Barrere, judging by his comment at the end of the eleven and a half minutes, thoroughly enjoyed. Rocky Mountain Jam kicks off with a spirited six and a bit minute Marginal Creatures, follows it with close to a dozen minutes of One Clear Moment > Sunday Jam, which is probably where anyone who isn’t into lengthy jamming will want to jump ship, since Spanish Moon > Skin It Back fills a solid quarter of an hour and the take on Dixie Chicken tips the scales at just over twenty-one minutes. In the light of those two, close to seven minutes of Rocket In My Pocket and a slightly leaner Feats Don't Fail Me Now might be seen as light relief, but if you’re Jam-averse, Rocky Mountain Jam ain’t gonna be your scene (man). On the other hand, if you’ve heard a lot of sub-par mindless boogie with limited dynamics you might just be inclined to have a listen to what half a dozen musos with substantial playing chops (check the list of collaborations for individual members here) can do when they’ve decided to stave off boredom with tracks they’re probably expected to play every night (Dixie Chicken) or have to include in the setlist on a regular basis (Spanish Moon, Skin It Back, Rocket In My Pocket, Feats Don't Fail Me Now). Mightn’t be everybody’s cup of tea, but it goes down just fine in these parts, and if it sounds like the sort of thing that floats your boat comes with a hearty recommendation from the Little House of Concrete.